I would be delighted to speak to your group about social media, web design, or social media topics, and in particular in relation to the pet industry. I am especially excited about live streaming app, Periscope, and would love the chance to share that excitement, and my expertise, with your group Please contact me and let me know what you have in mind. 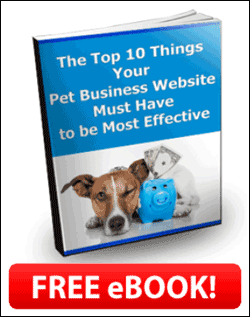 I’m a former pet sitter, having owned my own business in Austin, Texas for ten years. I am also the founder and former owner of PetsitUSA, which I grew into a very successful resource for pet sitters and pet owners. I developed and launched it in 2003, and ultimately sold in 2012. During the time I owned it, it was one of the most respected and visible websites for pet owners to find pet sitters and dog walkers. 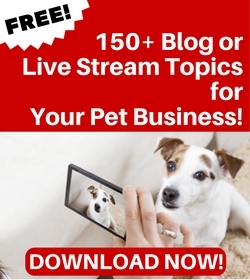 Although I have used traditional advertising to promote PetsitUSA, my pet sitting business, and consulting businesses, the majority of promotion has always been through social media. I’ve been able to draw on this experience to help other small business owners grow their online presence. And, since 2001 I have been providing small business owners with web design and social media consulting services. On a more personal note, I share my home and heart with a very sweet, but a little crazy, border collie, Jed. I originally brought him home as a foster in 2013, but we quickly decided it needed to be a permanent arrangement. We’re both happy to be foster failures! You’ll see him in a lot of my Periscope broadcasts.